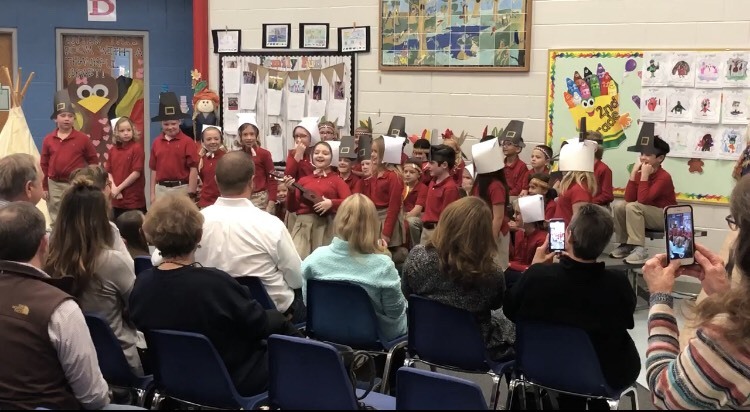 Our traditional Lower School Thanksgiving Program was a hit! Each grade added their own twist by performing a song or poem. 3rd grade chose a poem, and if you were there, it was one that will never be forgotten! This program was followed by a family feast organized by our Parent's Club! 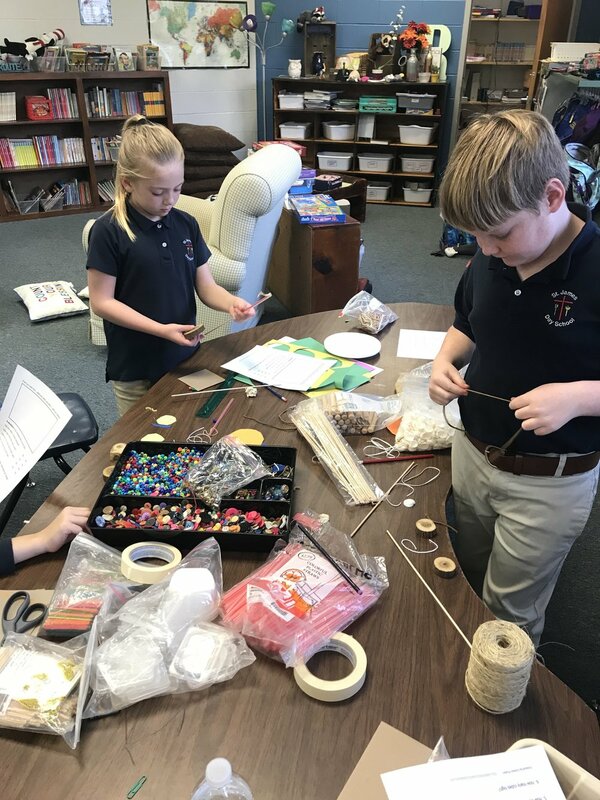 Students put their creative hats on and constructed a musical instrument following a rubric. Students are understanding the concepts of multiplication and division through real-life scenarios. Showing "how" you got your answer is very important when it comes to solving problems. Not all students think the same, so therefore not all students will use the same strategies! 3rd grade shined, as well as the other students of St. James Day School during the Candlelight performance. This took place downtown at St. James church. So many people work hard for this event to be successful and it truly is a beautiful night of music, scripture, and unity! GOODBYE OCTOBER, WE WILL MISS YOU!